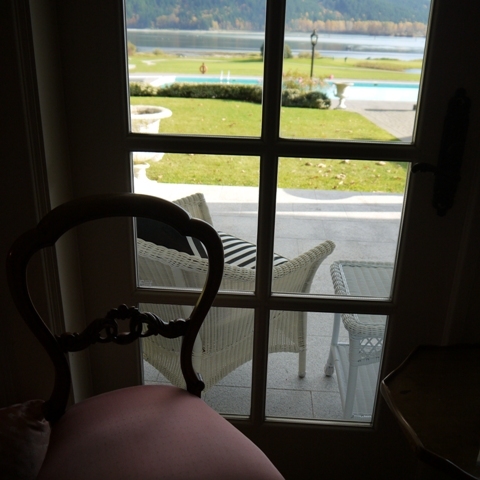 Just a hop, skip and jump away from downtown Vancouver is an enchanting escape from the city called Rowena’s Inn. 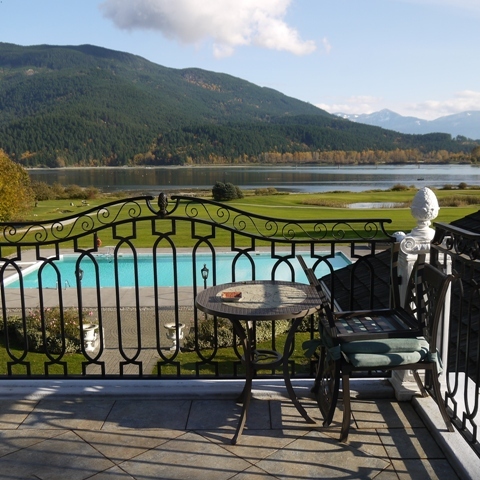 Located in Harrison Mills, about a two hour drive from Vancouver, you’ll find Rowena’s Inn, a bed and breakfast nestled on the Sandpiper Golf Resort’s waterfront property, with a gorgeous mountain views, and surrounded by towering Douglas Firs. 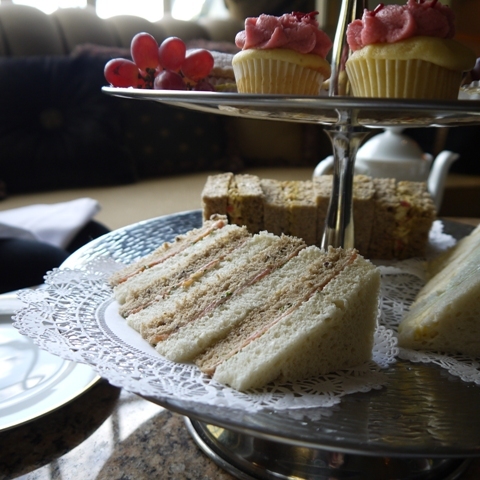 Guests have a choice of staying in the historic inn, or in the private wooden lodges; both which offer equally gorgeous but different experiences. 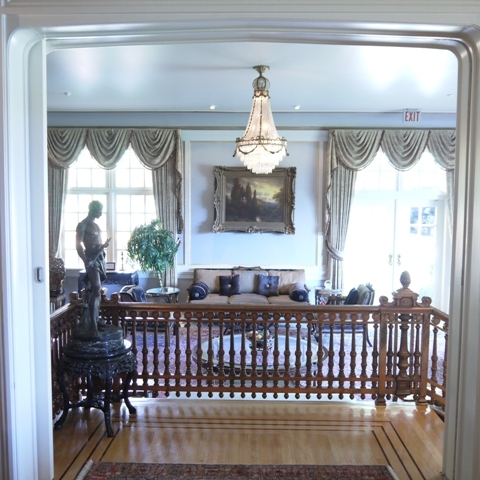 The rooms in the inns, much like the entire building, is furnished and outfitted with amazing historical pieces. As this was a private summer home before it was renovated and open to the public, the rooms are still named after the siblings who occupied the spaces and have the feel of old-world sophistication. The private lodges have a more rustic feel, with a wood-burning fireplace and a four-post bed with an amazing mountain view. Stay here if you want to relax in cabin-chic accommodations, with all the rustic vibe but with modern perks like heated floors, and a jacuzzi tub. You can fall asleep to a crackling wood-burning fireplace, then wake up to a picnic basket breakfast that is delivered to your door. The portions are generous to say the least with bacon, sausages, eggs, hashbrowns, pancakes, croissants, freshly squeeze OJ and coffee… need I say more? Make sure to open up your blinds so you can enjoy the view as you enjoy your meal. The property has other perks and services such as the Sandpiper golf course, an outdoor pool, and River’s Edge the restaurant. But what really defines the uniqueness of the property is the story behind the bricks and mortar. Betty Anne Pretty is the owner and proprietor of the Pretty Estates. 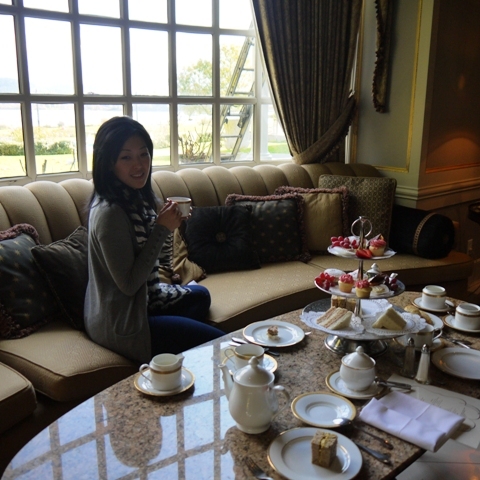 She joined me for high tea in the drawing room, and as we sipped peppermint and chamomile tea she share the history of the inn. Her father Charles Pretty and mother Rowena Pretty bought 160 acres of land, of which the resort sits on today. 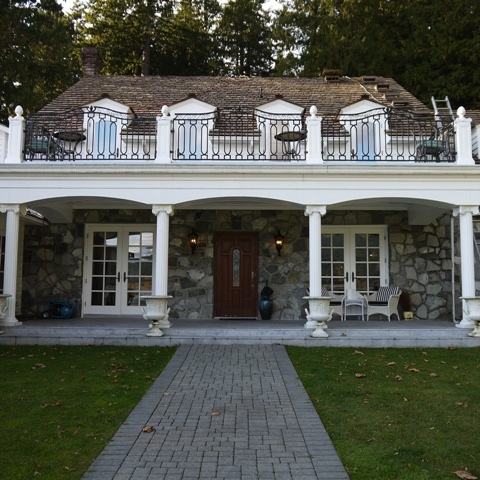 In the 1920’s, the family would take the train from Vancouver to Harrison Mills on weekends and holidays, staying a few days to build and renovate their summer home. While it was loved by all three of Betty Anne’s siblings, none of them took to the property like she did. After all, she was born in the home, in the bed of opera singer Dame Nellie Melba that is still inside the inn today. This is the first of the many antiques inside the buildling. After her parents and two siblings sadly pass, Betty Anne and her brother Ivan decided to open their summer home up as an inn. If you are an antique collector or furniture junkie, this is the place for you. 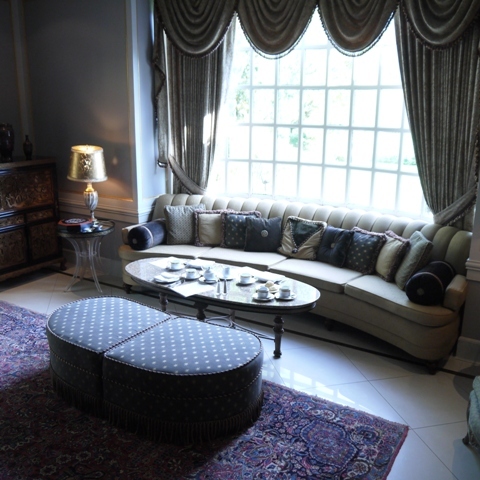 Every piece of furniture was carefully selected by Betty Anne’s parents and herself, including a candelabra from a castle in England, to delicate urns from Japan, to the original banister from Hotel Vancouver and the dining room table that King George VI dined at. The amazing part is that these antiques are not guarded behind a velvet rope, or under glass but are in the open for all the guests to enjoy. Something about the property exudes romance. It wasn’t surprising to hear that it is a popular destination fo weddings, especially in the summer. I find that in British Columbia, we have become far too complacent with our weekend getaway, with Whistler and Seattle being the far too often travelled destinations. 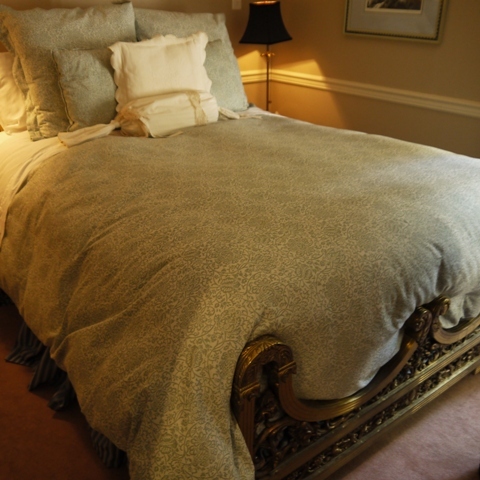 Rowena’s Inn is an ideal option with a two hour drive. Not too far, but just long enough so you feel like you’ve gone away. And if that is too long with you, there’s always the option of flying in on an aircraft as Rowena’s Inn is equipped with their own private air strip.